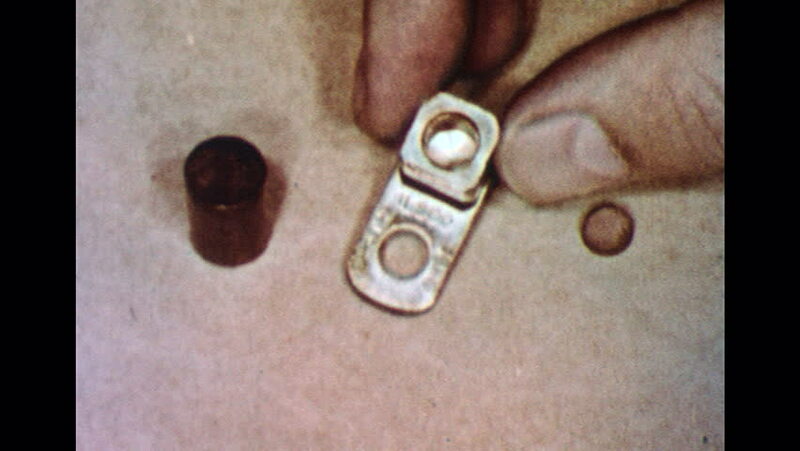 UNITED STATES 1960s: Electrical connector on table, hand picks up connector. hd00:34Making of Cotton Candy in Slow Motion 96 fps. Working woman making cotton candy during holiday festival. Close-up on machine and human hand. Candyfloss. Apparatus for cotton candy. hd00:10key inserted in the door lock.close-up.shallow depth of field. hd00:19Oxygen, close-up of metal heating and welding made with gas high temperature machine. Blue flame is heating metal till red colour and it starts melting.